Robinson Street in Downtown Orlando, Florida in 2007. 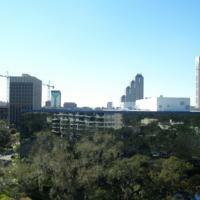 The Orlando area was originally occupied by the Creek and Seminole tribes. In 1838, Fort Gatlin was erected on the shores of Lake Gatlin, just a few miles south of present-day Downtown Orlando. Centered around Church Street, Orlando became a city in 1884. Originally a cattle town, Orlando grew into a major citrus growing center by the 1920s. The city continued to grow during the Great Depression with aid from the Work Progress Administration (WPA). During World War II, Orlando became a major military center as well with the development of the McCoy Air Force Base and Pinecastle Air Force Base, and with the addition of the Naval Training Center Orlando (NTC Orlando) in 1968. 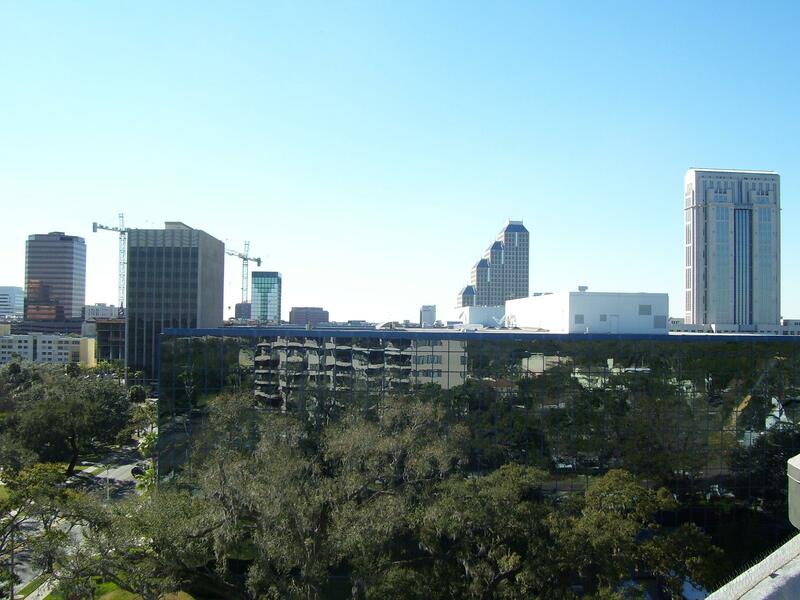 Downtown Orlando declined in the 1960s and 1970s. Redevelopment began in the 1970s and continued into the 1980s, with projects such as Church Street Station. In 1998, a building boom began and continued through the 2000s. Original color digital image by Thomas Cook, 2007 : Private Collection of Thomas Cook. Cook, Thomas. “Rooftop View of Robinson Street, 2007.” RICHES of Central Florida accessed April 18, 2019, https://richesmi.cah.ucf.edu/omeka/items/show/2179.